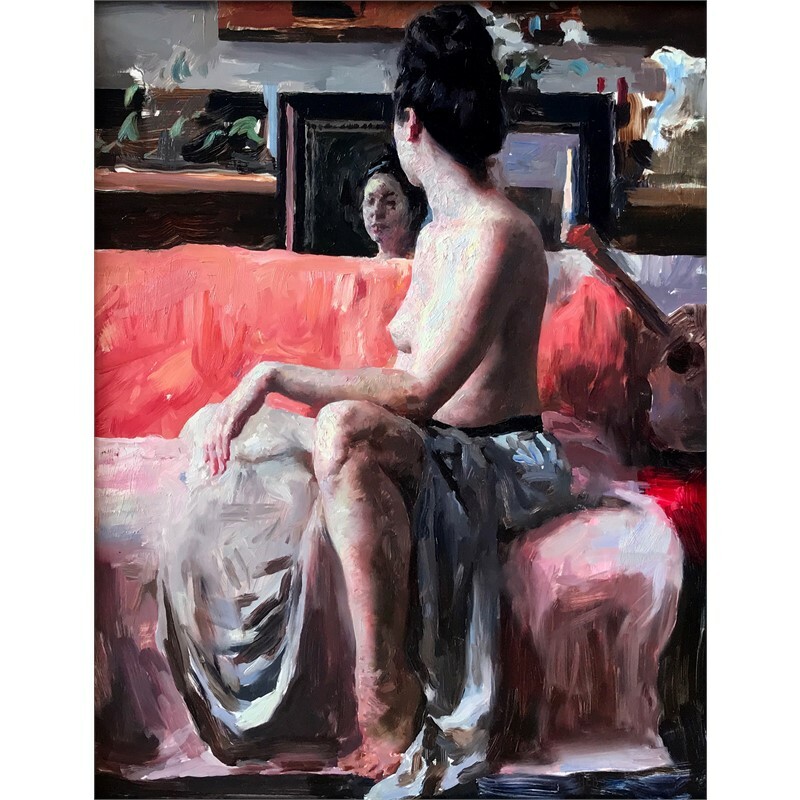 Hollis Dunlap was born in northeastern Vermont in 1977. From a young age he has been interested in painting and drawing, inventing imaginary figures, landscapes, and other compositions in whatever media was available. 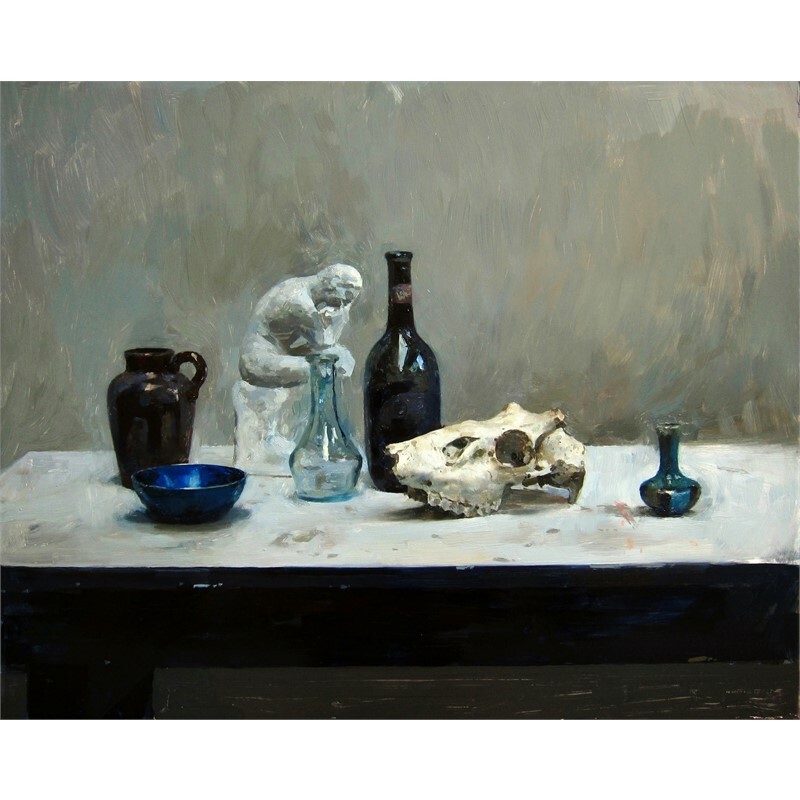 When he reached the age of fourteen he began using oil paints, at first experimenting with still life. 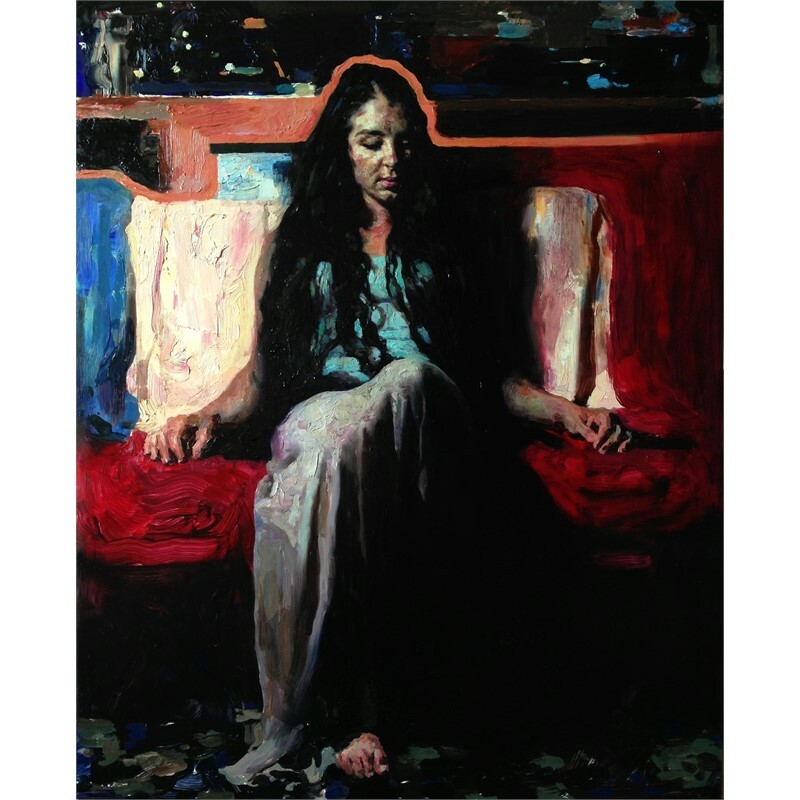 Encouraged by his high school art teacher, he began taking private oil painting lessons, studying the figure as well as painting landscapes on-site. 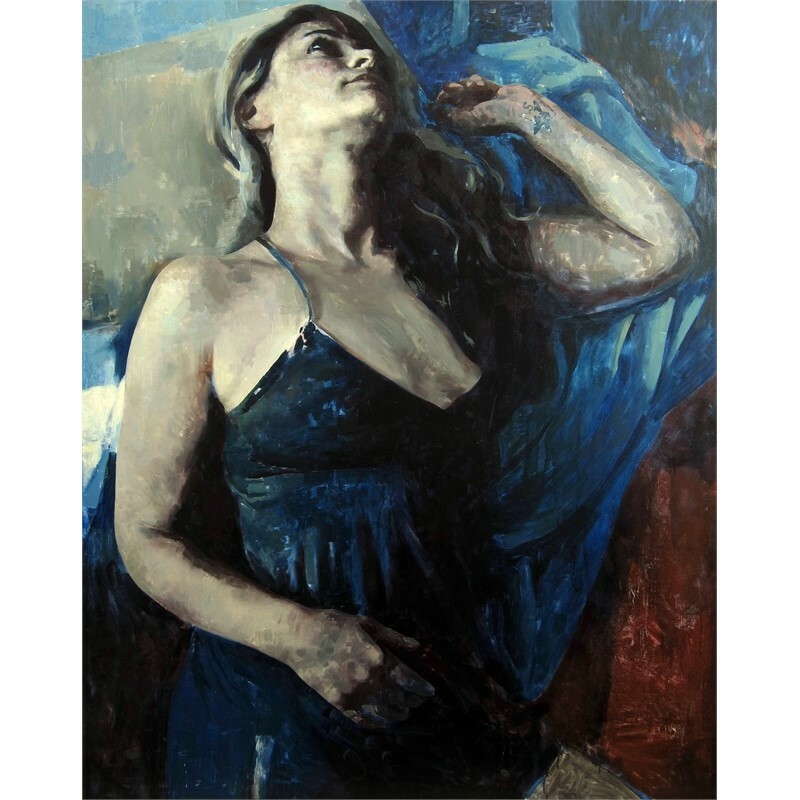 During these years he augmented his school art classes with after-school figure drawing programs, developing his familiarity with the human form. At the same time he began to study the old masters extensively, copying many master drawings and paintings in an attempt to absorb some of the spirit of their work, as well as more specific technical lessons to be gained from these artists. His goal was to attempt to combine classical drawing in the style of Michelangelo with the subtle color and lighting of painters like Vermeer. After graduating from high school he went on to study at the Lyme Academy College of Fine Arts, where he received extensive training in drawing and painting the human figure from life, as well as painting hundreds of landscapes on site over the course of four years. During his time at the Academy he received several noteworthy awards including winning the National Arts Club Student Show first prize for two consecutive years. Upon graduation he received the Stobart Fellowship, a grant to paint for a year and hold a solo show at the end of that time. Mr. Dunlap has a great appreciation for highly realist painting and sculpture, as well as a love of the open-air landscape painting. He enjoys the challenge of accurate drawing, as well as the beautiful transparent qualities of oil paint and spontaneous brushwork. 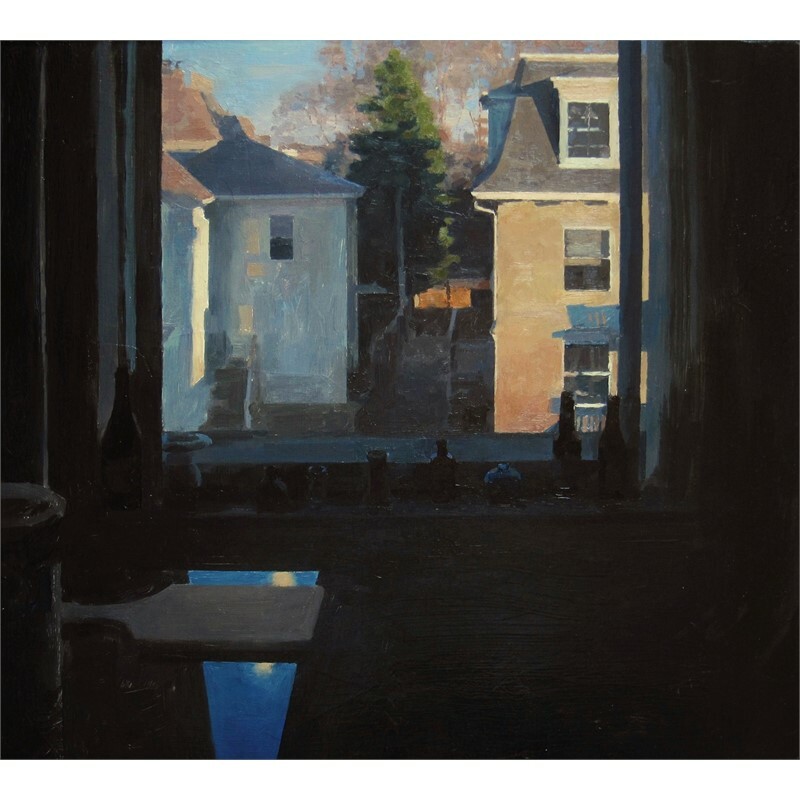 He has been influenced by many different painters and techniques, and the qualities of color, drawing, and surface in his paintings reflect artists from Velasquez, to Edward Hopper, to Diebenkorn. In some cases the paintings can be smooth with the brush marks hidden. 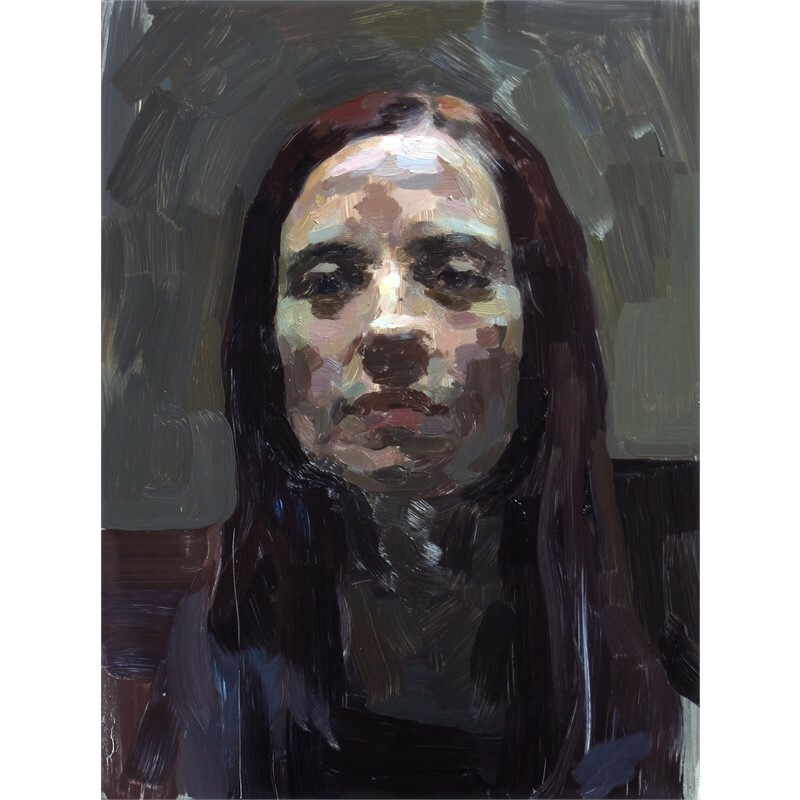 Other works emphasize the plastic qualities of oil paint, showing the brush marks as a contrast to the realism of the image. In terms of design and brushwork the paintings can be viewed as abstract images, collections of colors and shapes that when put together happen to look like a realist image. Paint application is extremely important, and subtlety of color harmony is studied with careful attention to detail. In addition, the painting process and revisions add to the tactile qualities of the work, creating a painting surface with contrasting areas of thick and thinly applied paint. 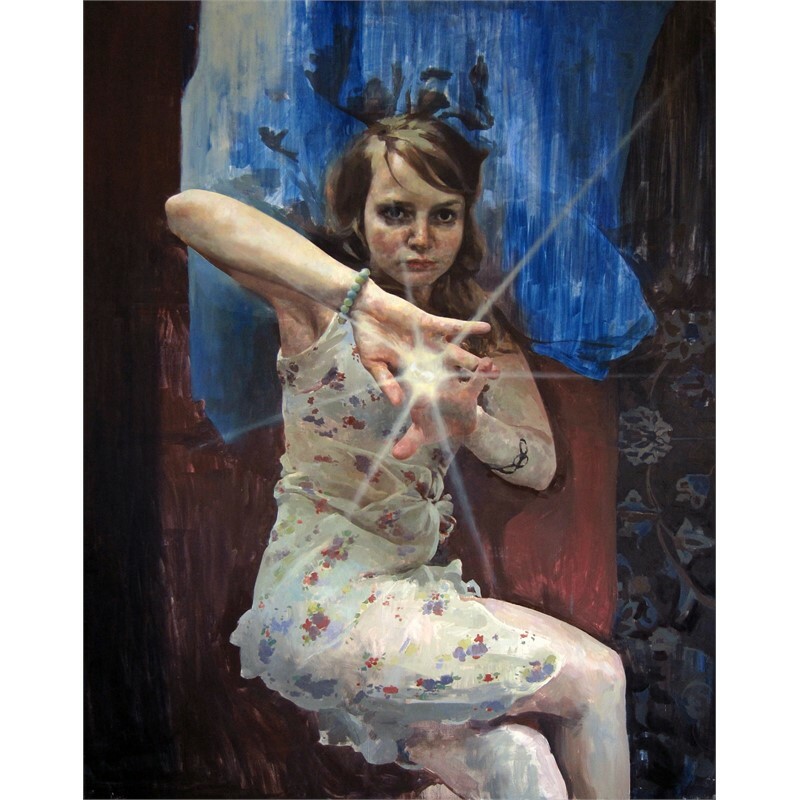 Over the past few years Mr. Dunlap has had several one person shows in New York and Boston, and has taught painting and drawing in several locations on the east coast, including the Lyme Art Association, Mystic Arts Center, and Lyme Academy College of Fine Arts. He currently maintains a studio in Eastern Connecticut. 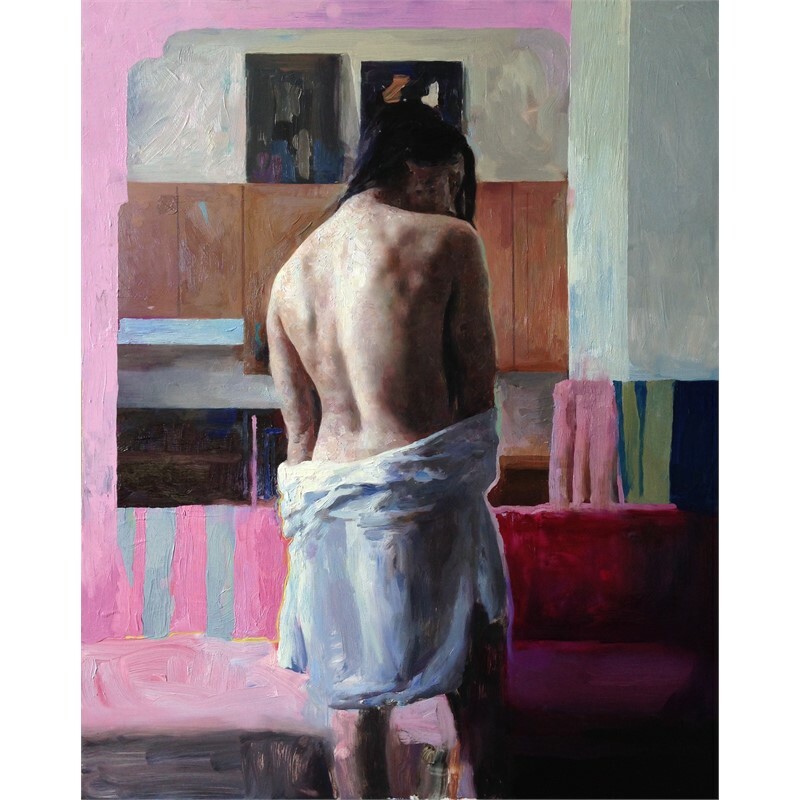 Hollis Dunlap was born in northeastern Vermont in 1977. From a young age he has been interested in painting and drawing, inventing imaginary figures, landscapes, and other compositions in whatever media was available. 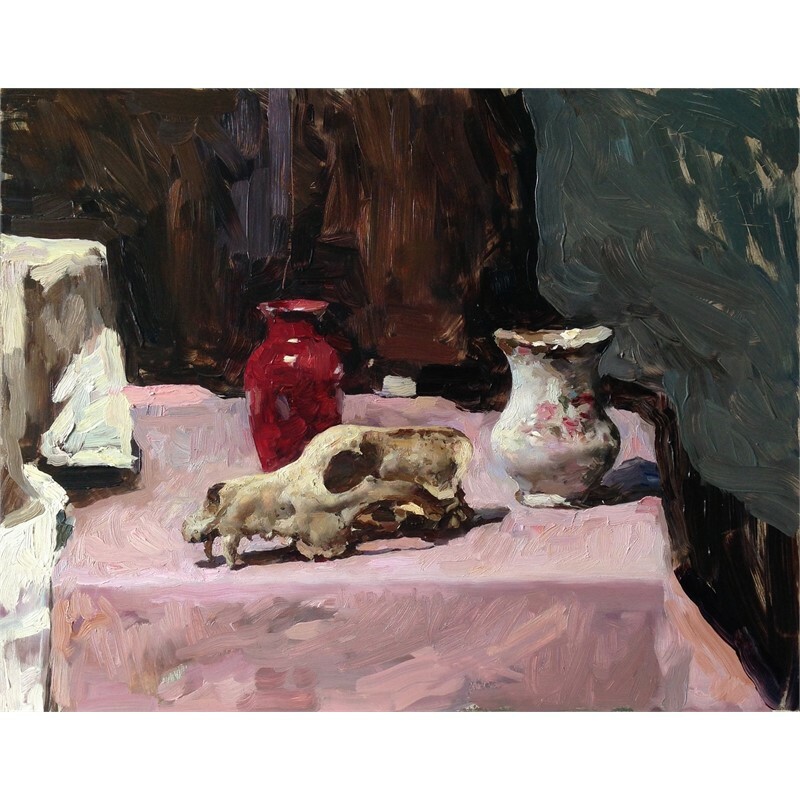 When he reached the age of fourteen he began using oil paints, at first experimenting with still life. Encouraged by his high school art teacher, he began taking private oil painting lessons, studying the figure as well as painting landscapes on-site. 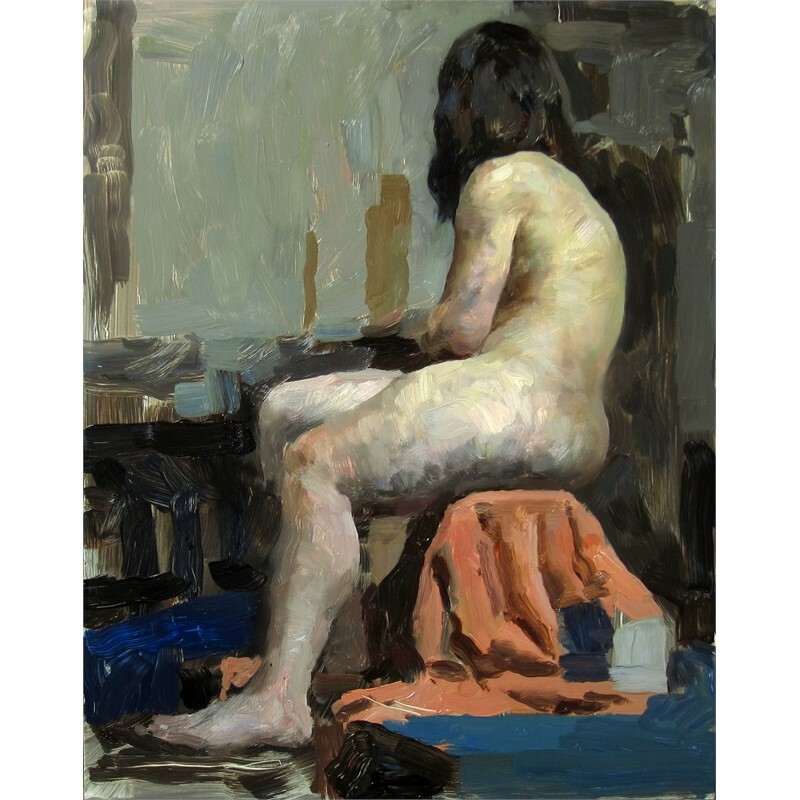 During these years he augmented his school art classes with after-school figure drawing programs, developing his familiarity with the human form. At the same time he began to study the old masters extensively, copying many master drawings and paintings in an attempt to absorb some of the spirit of their work, as well as more specific technical lessons to be gained from these artists. His goal was to attempt to combine classical drawing in the style of Michelangelo with the subtle color and lighting of painters like Vermeer. 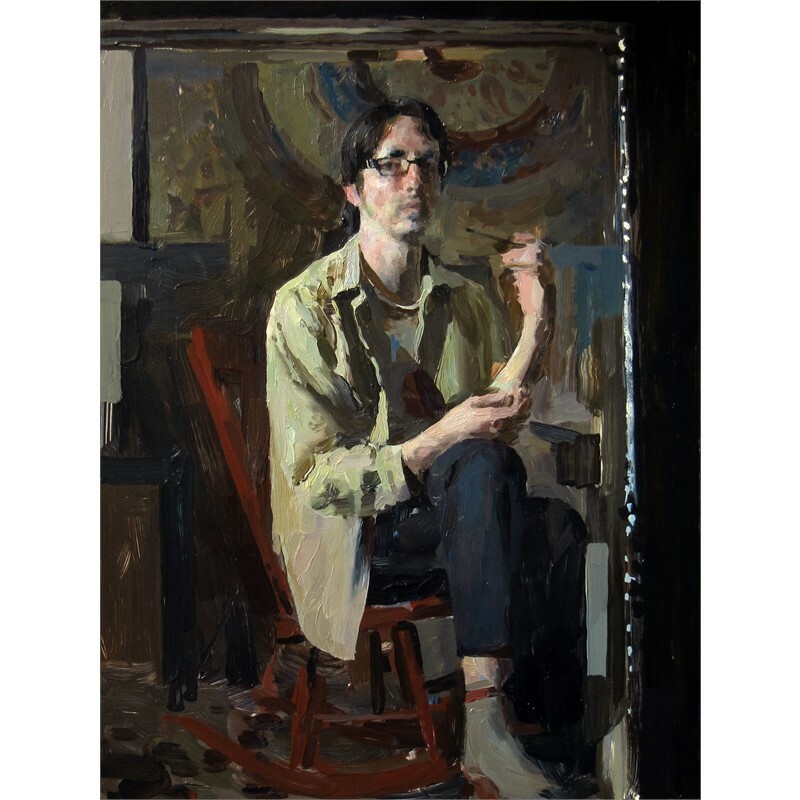 After graduating from high school he went on to study at the Lyme Academy College of Fine Arts, where he received extensive training in drawing and painting the human figure from life, as well as painting hundreds of landscapes on site over the course of four years. During his time at the Academy he received several noteworthy awards including winning the National Arts Club Student Show first prize for two consecutive years. 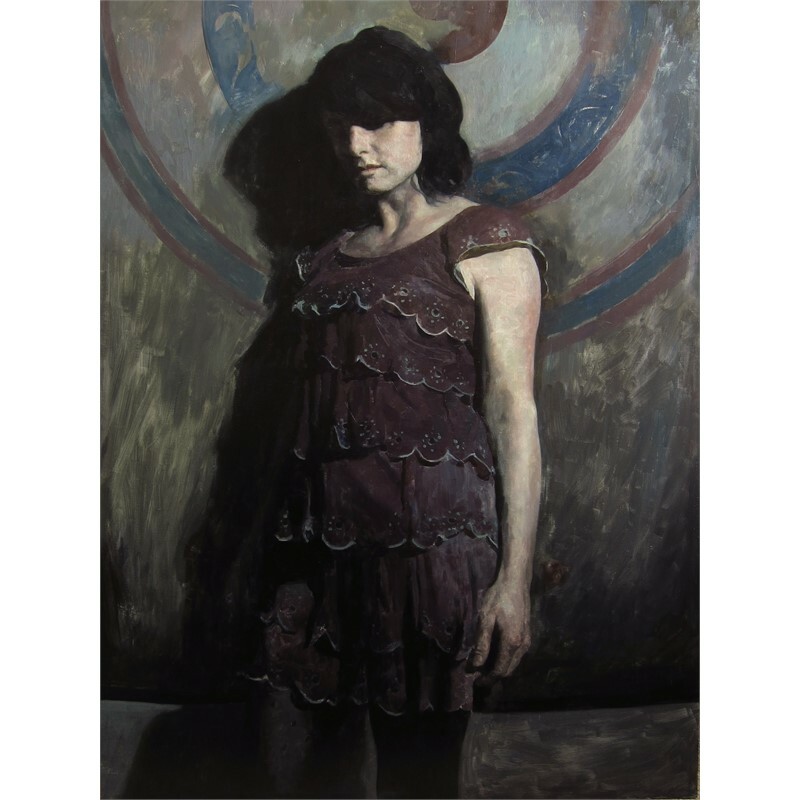 Upon graduation he received the Stobart Fellowship, a grant to paint for a year and hold a solo show at the end of that time. Mr. Dunlap has a great appreciation for highly realist painting and sculpture, as well as a love of the open-air landscape painting. He enjoys the challenge of accurate drawing, as well as the beautiful transparent qualities of oil paint and spontaneous brushwork. 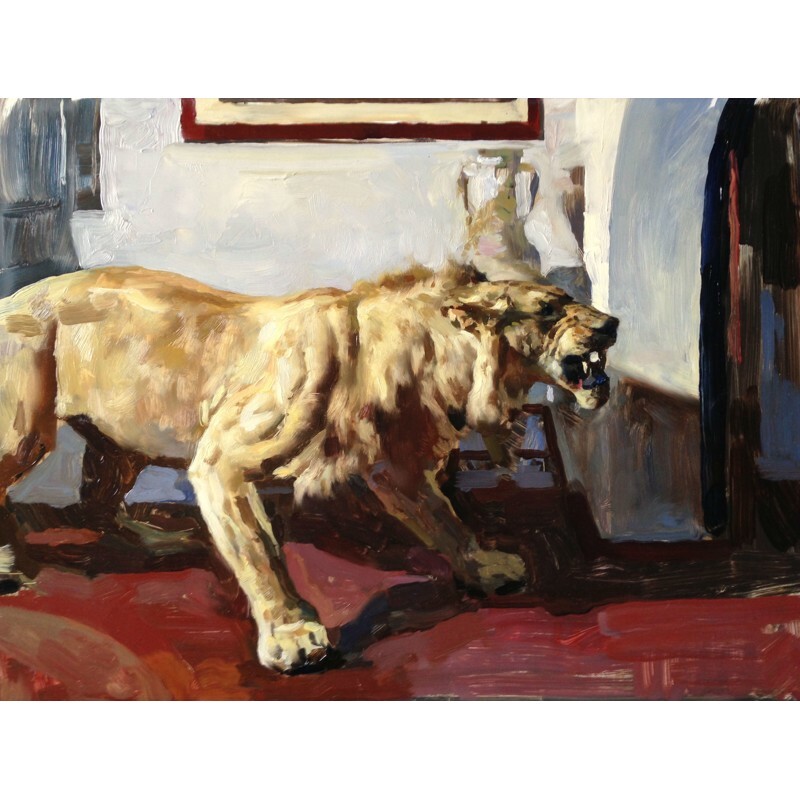 He has been influenced by many different painters and techniques, and the qualities of color, drawing, and surface in his paintings reflect artists from Velasquez, to Edward Hopper, to Diebenkorn. In some cases the paintings can be smooth with the brush marks hidden. Other works emphasize the plastic qualities of oil paint, showing the brush marks as a contrast to the realism of the image. In terms of design and brushwork the paintings can be viewed as abstract images, collections of colors and shapes that when put together happen to look like a realist image. Paint application is extremely important, and subtlety of color harmony is studied with careful attention to detail. In addition, the painting process and revisions add to the tactile qualities of the work, creating a painting surface with contrasting areas of thick and thinly applied paint.  Over the past few years Mr. Dunlap has had several one person shows in New York and Boston, and has taught painting and drawing in several locations on the east coast, including the Lyme Art Association, Mystic Arts Center, and Lyme Academy College of Fine Arts. He currently maintains a studio in Eastern Connecticut.